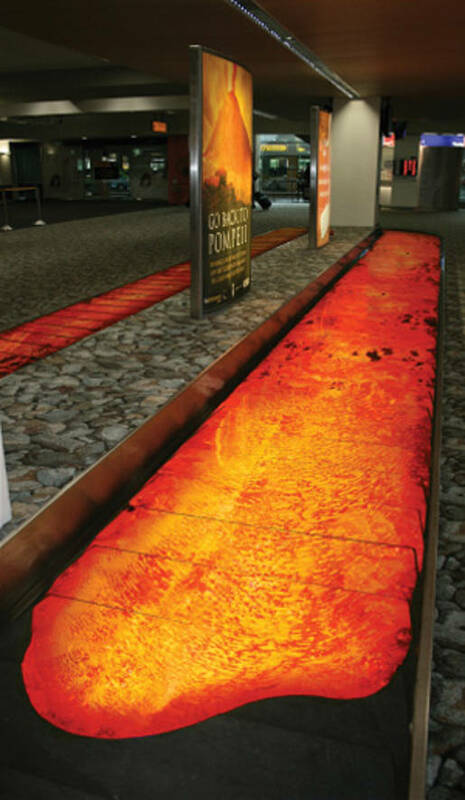 Te Papa Tongarewa, the National Museum of New Zealand in Wellington, is running A Day in Pompeii, a four month exhibit on the volcanic destruction of the Roman city. Visitors are invited to discover what life was like in Pompeii before rock and ash from Mt Vesuvius engulfed the bustling Roman city, viewing 250 priceless artefacts and experiencing the cataclysmic eruption of Vesuvius in a spectacular immersive 3D theatre. 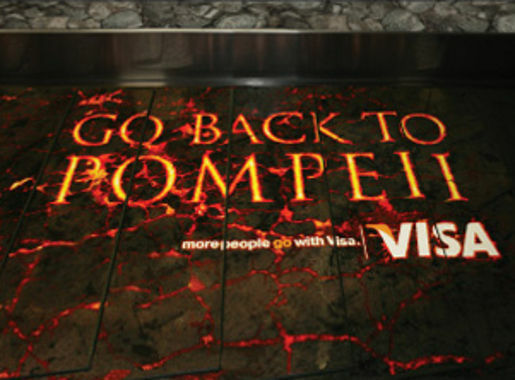 Visa’s sponsorship of the Pompeii exhibit was highlighted at Wellington Airport with a lava flow that ran around the baggage carousel, informing visitors they can win a trip for two to Italy. 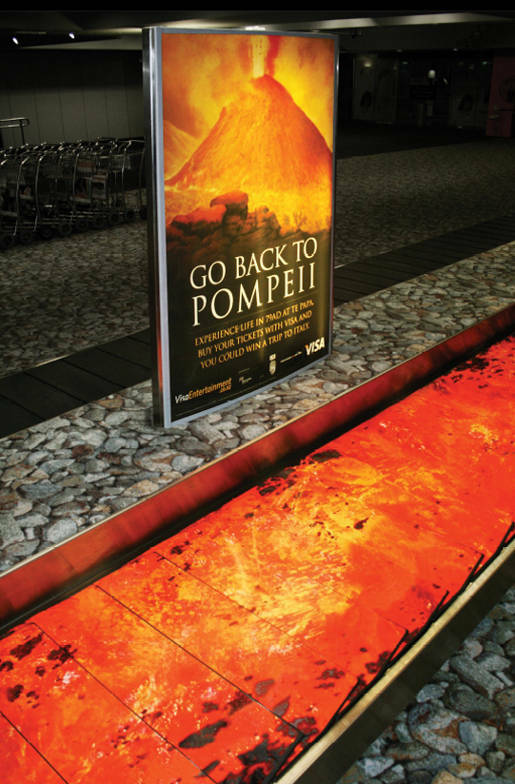 The Pompeii Airport camapign was developed at TBWA\Tequila, Auckland, by executive creative director Andy Blood, creative director Guy Roberts, art director Tamryn Kerr, copywriter Michael Goldthorpe, producer Mark Paisey, account manager Sam Attenborough, retouchers Paul Hewson and Grant Allen at Slice Image Makers.